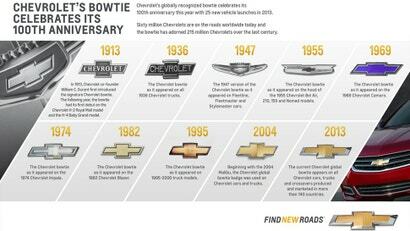 To mark the 100th anniversary of Chevy's logo this year, the car company has created this graphic charting the evolution of the iconic bowtie. But did you know that the origins of the slanted cross are vague at best? 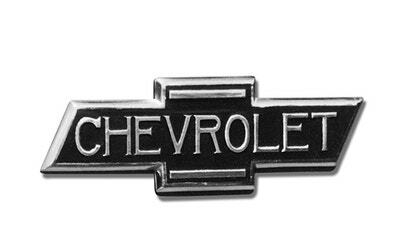 Chevy co-founder William C. Durant introduced the logo in 1913, and subsequently slapped the first ones on the front of the 1914 Chevrolet H-2 Royal Mail and the H-4 Baby Grand. But there are a couple of different theories as to where the design actually came from. 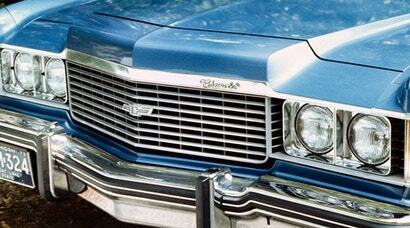 Chevy says it was inspired by wallpaper at a hotel in Paris Durant had stayed in. But in a 1929 book called My Father, Durant's daughter said her dad used to sketch on scraps of paper at the kitchen table, which is where the cross was conceived. His widow has another version of the story — apparently Durant was influenced by an ad in a newspaper in Hot Springs, Arkansas. 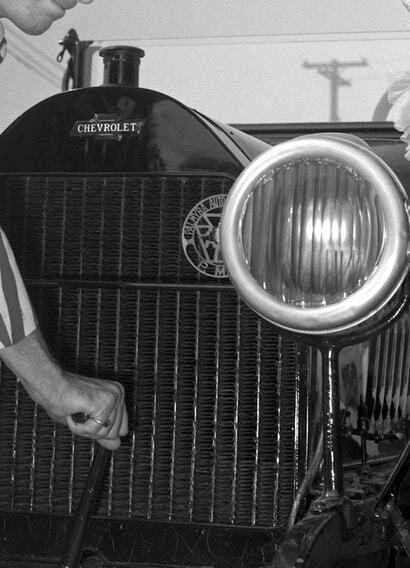 And another comes from historian and editor of the Chevrolet Review Ken Kaufmann, who says Durant's inspiration came from an ad for the Southern Compressed Coal Company in a November 12, 1911 edition of the Atlanta Journal-Constitution. 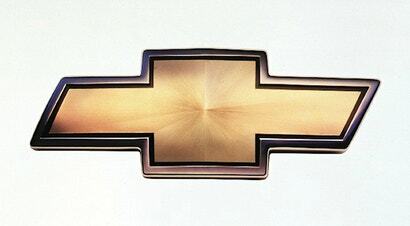 The company had the word "Coalettes" placed in a bowtie similar to Chevy's. Equipment World says this is the story that's most likely to be true.